Hello everyone, welcome back to another product review post. I am going to review the Utena Golden Jelly Mask. This is on top of my list when I travelled to Japan as I have seen a lot of bloggers/artists using it. This product contains 33G of golden jelly collagen serum, it is quite heavy for a piece of face mask. Honestly, I used the mask in the morning before I go out, and finish up the remaining when I got back to the hotel when I was in Japan. It is quite worth the money if you do it that way. 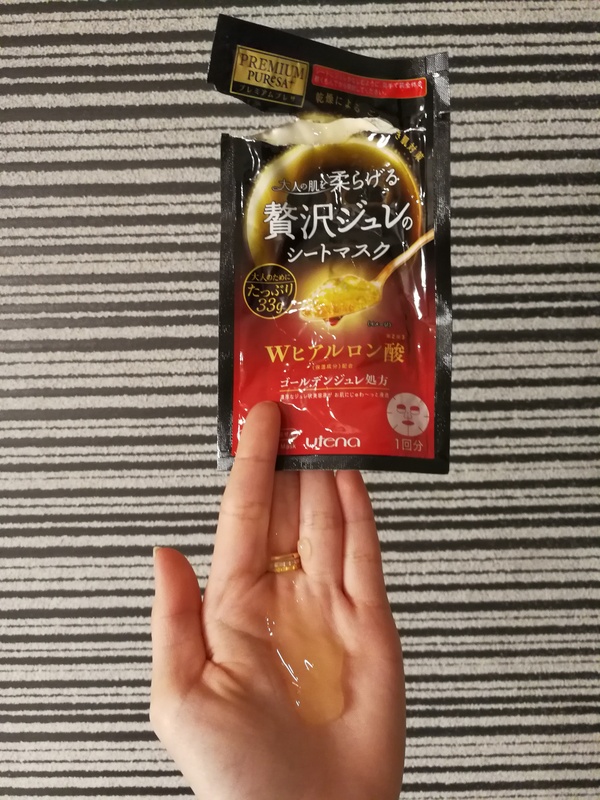 The Golden Jelly mask (In red packaging) aims to boost moisture. It contains hyaluronic acid, squalene, amino acids, ceramides and collagen. It does not contain artificial fragrance, color, mineral oil, alcohol, and animal-derived raw material. However, it does contain carbomer and methylparaben. Please be extra careful if you have sensitive skin. It does not irritate my skin. 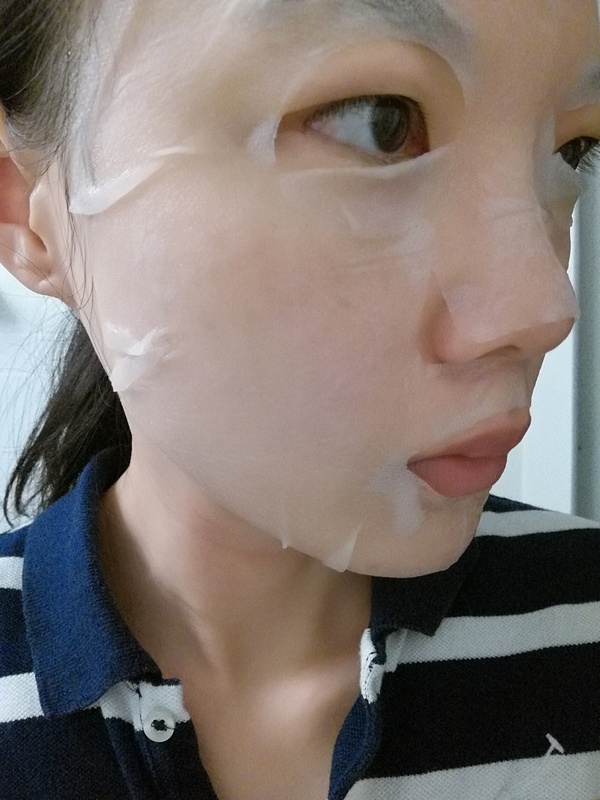 I find that the Jelly does not spread evenly on the mask sheet, I had to evenly spread it out on my face. However, once that is done, my skin does feel hydrated for the day. It retails for around AUD $12-15 for a box of 3 mask sheets. Have you use any of their products? I would love to hear from you if you have. Thanks for reading. Till next time.